We collected our horses, and after breakfast I took my leave of Captain Lewis and the Indians, and at 8 A.M. set out with [blank in MS.] men, interpreter Charbonneau and his wife and child (as an interpreter and interpretress for the Crow Indians, and the latter for the Shoshone) with fifty horses. I rose at daylight this morning. Dispatched Labiche after a buck, which he killed late last evening; and I went with the three men whom I had sent in search of a ford across the west fork of Clark's River, and examined each ford. Neither of them I thought would answer to pass the fork without wetting all the loads. Near one of those places pointed out by Colter I found a practicable ford and returned to camp. Ordered everything packed up, and after breakfast we set out. I saw fresh sign of two horses, and a fire burning on the side of the road. I presume that those Indians are spies from the Shoshones. This morning our horses were very much scattered. I sent out men in every direction in search of them. They brought all except 9 by 6 o'clock, and informed me that they could not find those 9. I then ordered 6 men to take horses and go different directions and at a greater distance. Those men all returned by 10 A.M., and informed me that they had made circles in every direction to 6 or 8 miles around camp and could not see any signs of them. That they had reasons to believe that the Indians had stolen them in the course of the night, and founded their reasons on the quality of the horses, all being the most valuable horses we had, and several of them so attached to horses of inferior quality which we have, they could not be separated from each other when driving with their loads on in the course of the day. I thought it probable that they might be stolen by some skulking Shoshones; but, as it was yet possible that they might have taken our back route or rambled to a greater distance, I determined to leave a small party to hunt for them today and proceed on with the main party and all the baggage to the canoes, raise them out of the water, and expose them to the sun to dry by the time this party should overtake me. I left Sergeant Ordway, Shannon, Gibson, Collins, and Labiche, with directions to hunt this day for the horses without [i.e., unless] they should discover that the Indians had taken them into the mountains, and pursue our trail, &c.
After dinner we proceeded on down the fork which is here but small, 9 miles, to our encampment of 17th August, at which place we sank our canoes, and buried some articles as before mentioned. The most of the party with me, being chewers of tobacco, became so impatient to be chewing it that they scarcely gave themselves time to take their saddles off their horses before they were off to the deposit. I found every article safe, except a little damp. I gave to each man who used tobacco about two feet off a part of a roll, took one third of the balance myself, and put up 2/3 in a box to send down with the most of the articles which had been left at this place, by the canoes to Captain Lewis. As it was late, nothing could be done with the canoes this evening. I examined them and found them all safe except one of the largest, which had a large hole in one side and split in bow. Set several men to work digging for the tobacco Captain Lewis informed me had had buried in the place the lodge stood when we lay here last summer. They searched diligently without finding anything. At 10 A.M. Sergeant Ordway and party arrived with the horses we had lost. He reported that he found those horses near the head of the creek on which we encamped, making off as fast as they could, and much scattered. I had all the canoes put into the water and every article, which was intended to be sent down, put on board, and the horses collected and packed with what few articles I intend taking with me to the Yellowstone, and after breakfast we all set out at the same time and proceeded on down Jefferson's River on the east side through Service Valley and Rattlesnake Mountain and into that beautiful and extensive valley, open and fertile, which we call the Beaverhead Valley which is the Indian name. At meridian, I halted to let the horses graze, having come 15 miles. I ordered the canoes to land. Sergeant Ordway informed me that the party with him had come on very well and he thought the canoes could go as fast as the horses, &c. As the river now becomes wider and not shoal, I determined to put all the baggage, &c., which I intend taking with me to the Yellowstone, in the canoes and proceed on down with them myself to the Three Forks, or Madison's and Gallatin's rivers, leaving the horses to be taken down by Sergeant Pryor; and six of the men of the party to accompany me to the Yellowstone; and directed Sergeant Pryor to proceed on moderately and, if possible, encamp with us every night. Sergeant Pryor did not join me last night. He has proceeded on down. The beaver were flapping their tails in the river about us all the last night. This morning I was detained until 7 AM making paddles and drawing the nails of the canoe to be left at this place, and the one we had before left here. After completing the paddles, &c., and taking some breakfast, I set out. Set out early this morning and proceeded on very well to the entrance of Madison's River at our old encampment of the 27th July last, at 12 o'clock, where I found Sergeant Pryor and party with the horses. They had arrived at this place one hour before us. His party had killed 6 deer and a white bear. I had all the horses driven across Madison and Gallatin rivers and halted to dine, and let the horses feed immediately below the entrance of Gallatin. Had all the baggage of the land party taken out of the canoes, and after dinner the 6 canoes and the party of 10 men under the direction of Sergeant Ordway set out. Previous to their departure I gave instructions how they were to proceed, &c. I also wrote to Captain Lewis by Sergeant Ordway. My party now consists of the following party, viz., Sergeant N. Pryor, Joe Shields, G. Shannon, William Bratton, Labiche, Windsor, H. Hall, Gibson, Interpreter Charbonneau, his wife and child, and my man York - with 49 horses and a colt. The horses' feet are very sore, and several of them can scarcely proceed on. The Indian woman, who has been of great service to me as a pilot through this country, recommends a gap in the mountain more south, which I shall cross. Sent Shields ahead to kill a deer for our breakfast, and at an early hour set out with the party. Crossed Gallatin River, which makes a considerable bend to the N.E. and proceeded on nearly S. 78° E. through an open level plain. At 6 miles I struck the river and crossed a part of it and attempted to proceed on through the river bottoms, which were several miles wide at this place. I crossed several channels of the river running through the bottom in different directions. I proceeded on about two miles, crossing those different channels, all of which were dammed with beaver in such a manner as to render the passage impracticable, and after being swamped, as I may say, in this bottom of beaver, I was compelled to turn short about to the right, and after some difficulty made my way good to an open, low, but firm plain which was an island, and extended nearly the course I wished to proceed. Here the squaw informed me that there was a large road passing through the upper part of this low plain from Madison River through the gap, which I was steering my course to. I proceeded up this plain 4 miles, and crossed the main channel of the river having passed through a skirt of cotton timber to an open low plain on the N.E. side of the river and nooned it. The river is much divided, and on all the small streams innumerable quantities of beaver dams, though the river is yet navigable for canoes. I overtook Shields soon after I set out. He had killed a large fat buck. I saw elk, deer, and antelopes, and a great deal of old signs of buffalo. Their roads are in every direction. The Indian woman informs me that a few years ago buffalo were very plenty in those plains and valleys, quite as high as the head of Jefferson's River, but few of them ever come into those valleys of late years, owing to the Shoshones, who are fearful of passing into the plains west of the mountains, and subsist on what game they can catch in the mountains, principally, and the fish which they take in the east fork of Lewis's River. Small parties of Shoshones do pass over to the plains for a few days at a time and kill buffalo for their skins and dried meat, and return immediately into the mountains. In the evening [i.e., afternoon], after the usual delay of three hours to give the horses time to feed and rest, and allowing ourselves time also to cook and eat dinner, I proceeded on down the river on an old buffalo road. The horses' feet are very sore; many of them can scarcely proceed on over the stone and gravel. In every other respect they are sound and in good spirits. I saw two black bear on the side of the mountains this morning. Several gangs of elk, from 100 to 200 in a gang, on the river. Great numbers of antelopes. Saw a large gang of about 200 elk and nearly as many antelope; also two white or gray bears in the plains. One of them I chased on horseback about 2 miles to the rugged part of the plain, where I was compelled to give up the chase, two of the horses were so lame owing to their feet being worn quite smooth and to the quick. The hind feet were much the worse. I had moccasins made of green buffalo skin and put on their feet, which seems to relieve them very much in passing over the stony plains. At 11 A.M., I observed a smoke rise to the S.S.E. in the plains toward the termination of the Rocky Mountains in that direction (which are covered with snow). This smoke must be raised by the Crow Indians in that direction, as a signal for us or other bands. I think it most probable that they have discovered our trail and, taking us to be Shoshones &c., in search of them, the Crow Indians-now at peace with them-to trade, as is their custom have made this smoke to show where they are; or, otherwise, taking us to be their enemy, made this signal for other bands to be on their guard. Charbonneau informed me that he saw an Indian on the high lands on the opposite side of the river, at the time I was absent in the woods. I saw a smoke in the same direction with that which I had seen on the 7th inst. It appeared to be in the mountains. I directed Sergeant Pryor and Shields, each of them good judges of timber, to proceed on down the river six or & miles and examine the bottoms, if any larger trees than those near which we are encamped can be found, and return before twelve o'clock. They set out at daylight. I also sent Labiche, Charbonneau, and Hall to bring the skin and some of the flesh of the elk Labiche had killed last evening. They returned with one skin, the wolves having eaten the most of the other four elk. I also sent two men in search of wood suitable for ax handles. They found some chokecherry, which is the best wood which can be procured in this country. Saw a bear on an island opposite, and several elk. Sergeant Pryor and Shields returned at half past 11 A.M., and informed me that they had proceeded down the timbered bottoms of the river for about 12 miles without finding a tree better than those near my camp. I determined to have two canoes made out of the largest of those trees and lash them together, which will cause them to be sturdy and fully sufficient to take my small party and self with what little baggage we have down this river. Had handles put in the three axes and after sharpening them with a file felled the two trees which I intended for the two canoes. Those trees appeared tolerably sound and will make canoes of 28 feet in length and about 16 or 18 inches deep and from 16 to 24 inches wide. The men with the three axes set in and worked until dark. This morning I was informed that half of our horses were absent. Sent out Shannon, Bratton, and Charbonneau to hunt them. Charbonneau went up the river, Shannon down, and Bratton in the bottom near the camp. Charbonneau and Bratton returned at 10 A.M., and informed me that they saw no signs of the horses. Shannon proceeded on down the river about 14 miles and did not return until late in the evening. He was equally un successful. Shannon informed me that he saw a remarkably large lodge about 12 miles below, covered with bushes, and the top decorated with skins, &c., and had the appearance of having been built about 2 years. I sent out two men on horseback to kill a fat cow, which	they did, and returned in 3 hours. The men work very diligently on the canoes; one of them nearly finished-ready to put in the water. This evening late a very black cloud from the S.E. accompanted with thunder and lightning with hard winds, which shifted about and was warm and disagreeable. I am appre hensive that the Indians have stolen our horses, and probably those who had made the smoke a few days past toward the S.W. I determined to have the balance of the horses	guarded, and for that purpose sent out 3 men. On their ap proach near, the horses were so alarmed that they ran away and entered the woods, and the men returned. I sent Sergeant Pryor and Charbonneau in search of the horses with directions to proceed up the river as far as the he first narrows and examine particularly for their tracks. They returned at 3 P.M. and informed me that they had proceeded up the distance I directed them to go and could see neither horses nor tracks. The plains immediately out from camp are so dry and hard that the track of a horse cannot be seen without close examination. I therefore directed Sergeant Pryor, Shannon, Charbonneau, and Bratton to encircle the camp at some distance around and find the tracks of the horses and pursue them. They searched for tracks all the evening without finding which course the horses had taken, the plains being so re markably hard and dry as to render it impossible to see a track of a horse passing through the hard parts of them. I begin to suspect that they are taken by the Indians, and taken over the hard plains to prevent our following them. My suspicion is grounded on the improbability of the horses' leaving the grass and rushes of the river bottoms, of which	i they are very fond, and taking immediately out into the open dry plains, where the grass is but short and dry. If they had continued in the bottoms, either up or down, their tracks could be followed very well. I directed Labiche, who under stands tracking very well, to set out early in the morning and find what route the horses had taken, if possible. Last night the wolves or dogs came into our camp and ate the most of our dried meat, which was on a scaffold. Labiche went out early, agreeable to my directions of last evening. Sergeant Pryor and Windsor also went out. Sergeant Pryor found an Indian moccasin and a small piece of a robe, the moccasin worn out on the bottom and yet wet and has every appearance of having been worn but a few hours before. Those Indian signs are conclusive with me that they have taken the 24 horses which we lost on the night of the 20th instant, and that those who were about last night were in search of the balance of our horses, which they could not find as they had fortunately got into a small prairie surrounded with thick timber in the bottom. Labiche returned, having taken a great circle, and informed me that he saw the tracks of the horses making off into the open plains and were, by the tracks, going very fast. The Indians who took the horses bent their course rather down the river. The men finished both canoes by 12 o'clock today, and I sent them to make oars and get poles, after which I sent Shields and Labiche to kill a fat buffalo out of a gang which has been within a few miles of us all day. I gave Sergeant Pryor his instructions and a letter to Mr. Haney and directed that he, G. Shannon, and Windsor take the remaining horses to the Mandans, where he is to inquire for Mr. Haney. If at the establishments on the Assiniboine River, to take 12 or 14 horses and proceed on to that place, and deliver Mr. Haney the letter, which is with a view to engage Mr. Haney to prevail on some of the best-informed and most influential chiefs of the different bands of Sioux to accompany us to the seat of our government, with a view to let them see our population and resources, &c., which I believe is the surest guarantee of savage fidelity to any nation - that of a government possessing the power of punishing promptly every aggression. Sergeant Pryor is directed to leave the balance of the horses with the grand chief of the Mandans until our arrival at his village, also to keep a journal of his route- courses, distances, water courses, soil productions, and animals to be particularly noted. Shields and Labiche killed three buffalo, two of them very fat. I had as much of the meat saved as we could conveniently carry. In the evening had the two canoes put into the water and lashed together, oars and everything fixed ready to set out early in the morning,	at which time I have directed Sergeant Pryor to set out with	the horses and proceed on to the entrance of the Bighorn River (which we suppose to be at no great distance), at which place the canoes will meet him and set him across the Yellowstone, below the entrance of that river. Had all our baggage put on board of the two small canoes which, when lashed together, are very sturdy and, I am convinced, will carry the party I intend taking down with me. At 8 A.M., we set out and proceeded on very well to a riffle. At this riffle the small canoes took a good deal of water, which obliged us to land to dry out articles and bail the canoes. I also had a buffalo skin tacked on, so as to prevent the water's flecking in between the two canoes. After dinner, I proceeded on past the entrance of a small creek and some wood on the starboard side, where I met with Sergeant Pryor, Shannon, and Windsor with the horses. They had but just arrived at that place. Sergeant Pryor informed me that it would be impossible for the two men with him to drive on the horses after him without tiring all the good ones in pursuit of the more indifferent, to keep them on the course; that in passing every gang of buffalo, several of which he had met with, the loose horses, as soon as they saw the buffalo, would immediately pursue them and run around them. All those that had speed suffi cient would head the buffalo, and those of less speed would pursue on as fast as they could. He at length found that the only practical method would be for one of them to proceed on and whenever they saw a gang of buffalo to scare them off before the horses got up. This disposition in the horses is no doubt owing to their	being frequently exercised in chasing different animals by	their former owners, the Indians, as it is their custom to	chase every species of wild animal with horses, for which purpose they train all their horses. I had the horses driven across the river, and set Sergeant Pryor and his party across. H. Hall, who cannot swim, expressed a willingness to proceed on with Sergeant Pryor by land, and as another man was necessary to assist in driving the horses, but observed he was naked, I gave him one of my two remaining shirts, a pair of leather leggings, and three pairs of moccasins, which equipped him completely, and sent him on with the party by land to the Mandans. The wind continued high until 2 P.M. I proceeded on	after the rain, lay a little, and at 4 P.M., arrived at a re markable rock situated in an extensive bottom on the star board side of the river and 250 paces from it. This rock I ascended and from its top had a most extensive view in every direction. This rock, which I shall call Pompey's Tower, is 200 feet high and 400 paces in circumference, and only accessible on one side, which is from the N.E., the other parts of it being a perpendicular cliff of lightish- colored gritty rock. On the top there is a tolerable soil about 5 or 6 feet thick covered with short grass. The Indians have made two piles of stone on the top of this tower. The natives have engraved on the face of this rock the figures of animals, &c., near which I marked my name and the day of the month and year. From the top of this tower I could discover two low mountains and the Rocky Mountains covered with snow. At 2 P.M. I was obliged to land to let the buffalo cross	over. Notwithstanding an island half a mile in width over which this gang of buffalo had to pass, and the channel of	the river on each side nearly 1/4 of a mile in width, this gang	of buffalo was entirely across and as thick as they could swim. The channel on the side of the island they went into the river, was crowded with those animals for half an hour (I was obliged to lay to for one hour); the other side of the island for more than 3/4 of an hour. I took four of the men and killed four fat cows for their fat and what portion of their flesh the small canoes could carry, that which we had killed a few days ago being nearly spoiled from the wet weather. Encamped on an island close to the larboard shore. Two gangs of buffalo crossed a little below us, as numerous	as the first. About 8 A.M. this morning, a bear of the large vicious species, being on a sand bar, raised himself up on his hind feet and looked at us as we passed down near the middle of the river. He plunged into the water and swam toward us, either from a disposition to attack or from the scent of the meat which was in the canoes. We shot him with three balls, and he returned to shore badly wounded. In the evening I saw a very large bear take the water above us. I ordered the boat to land on the opposite side with a view to attack him when he came within shot of the shore. When the bear was in a few paces of the shore, I shot it in the head. The men hauled it on shore, and it proved to be an old she, which was so old that her tusks had worn smooth, and much the largest female bear I ever saw. Mosquitoes excessively troublesome-so much so that the men complained that they could not work at their skins for those troublesome insects. And I find it entirely impossible to hunt in the bottoms, those insects being so numerous and tormenting as to render it impossible for a man to continue in the timbered lands, and our best retreat from those insects is on the sand bars in the river, and even those situations are only clear of them when the wind should happen to blow, which it did today for a few hours in the middle of the day. The evenings, nights, and mornings they are almost unen durable, particularly by the party with me, who have no biers, to keep them off at night, and nothing to screen them but their blankets, which are worn and have many holes. The torments of those mosquitoes and the want of a sufficiency of buffalo meat to dry-those animals not to be found in this neighborhood-induce me to determine to proceed on to a more eligible spot on the Missouri below, at which place the mosquitoes will be less troublesome and buffalo more plenty. Wrote a note to Captain Lewis, informing him of my intentions, and tied it to a pole which I had stuck up in the point. At 5 P.M., set out and proceeded on down to the second point, which appeared to be an eke situation for my purpose. [Killed a porcupine.] On this point the mosquitoes were so abundant that we were tormented much worse than at the point. The child of Charbonneau has been so much bitten by the mosquitoes that his face is much puffed up and swollen. The mosquitoes were so troublesome to the men last night that they slept but very little. Indeed, they were excessively troublesome to me. My mosquito bier has a number of small holes worn, through which they pass in. I set out at an early hour intending to proceed to some other situation. I had not proceeded on far before I saw a ram of the bighorn animal near the top of a larboard bluff. I ascended the hill with a view to kill the ram. The mosquitoes were so numerous that l I could not keep them off my gun long enough to take sight, and by that means missed. This morning a very large bear of the white species discovered us floating in the water and taking us, as I presume, to be buffalo, immediately plunged into the river and pursued us. I directed the men to be still. This animal came within about 40 yards of us and tacked about. We all fired into him without killing him, and the wind so high that we could not pursue him, by which means he made his escape to the shore, badly wounded. I have observed buffalo floating down, which I suppose must have been drowned in crossing above. More or less of those animals drown or mire in passing this river. I observed several floating buffalo on the river Yellowstone immediately below where large gangs had crossed. At 8 A.M., Sergeant N. Pryor, Shannon, Hall, and Windsor came down the river in two canoes made of buffalo skins. I Sergeant Pryor informed me that the second night after he parted with me on the Yellowstone, he arrived about 4 P.M. | on the banks of a large creek, which contained no running water. He halted to let the horses graze, during which time a heavy shower of rain raised the creek so high that several horses which had straggled across the channel of this creek were obliged to swim back. Here he determined to continue all night, it being in good food for the horses. In the morning he could see no horses. In looking about their camp, they discovered several tracks within 100 paces of their camp, which they pursued. Found where they [Indians] had caught and driven off all the horses. They pursued on five miles. The Indians there divided into two parties. They continued in pursuit of the largest party five miles further. Finding that there was not the smallest chance of overtaking them, they returned to their camp I and packed up their baggage on their backs, and steered a N.E. course to the river Yellowstone, which they struck at Pompey's Tower. There they killed a buffalo bull and made a canoe in the form and shape of the Mandans and Arikaras-the form of a basin. On the night of the 26th ulto., the night after the horses I had been stolen, a wolf bit Sergeant Pryor through his hand when asleep, and this animal was so vicious as to make an l attempt to seize Windsor, when Shannon fortunately shot him. Sergeant Pryor's hand has nearly recovered. The country through which Sergeant Pryor passed after he parted I with me is a broken open country. He passed one small I river, which I have called Pryor's River, which rises in I a mountain to the south of Pompey's Tower. The note I left on a pole at the mouth of the Yellowstone Sergeant Pryor, concluding that Captain Lewis had passed, took and brought with him. Captain Lewis, I expect, will be certain of my passing by the sign which I have made, and the encampment immediately in the point. Sergeant Pryor, being anxious to overtake me, set out some time before day this morning, and forgot his saddle-bags, which contain his papers, &c. I sent Bratton back with him in search of them. After dark, Sergeant Pryor returned with his saddlebags, &c. They were much further up than he expected. At meridian I set out and had not proceeded more than 2 miles before I observed a canoe near the shore. I directed the canoes to land. Here I found two men from the Illinois, Joseph Dixon and Hancock. Those men are on a trapping expedition up the Yellowstone. They inform me that they left the Illinois in the summer of 1804. The last winter they spent with the Tetons, in company with Mr. Coartong, who brought up goods to trade. The Tetons robbed him of the greater part of the goods and wounded this Dixon in the leg with a hard wad. The Tetons gave Mr. Coartong some few robes for the articles they took from him. Those men further informed me that they met the boat and party we sent down from Fort Mandan, near the Kansas River, on board of which was a chief of the Arikaras; that he met the Yankton chiefs with Mr. Dorion, McClellan, and several other traders on their way down. At meridian, Captain Lewis hove in sight with the party which went by way of the Missouri, as well as that which accompanied him from Traveler's Rest on Clark's River. I was alarmed, on the landing of the canoes, to be informed that Captain Lewis was wounded by an accident. I found him lying in the pirogue. He informed me that his wound was slight and would be well in 20 or 30 days. This information relieved me very much. I examined the wound and found it a very bad flesh wound. The ball had passed through the fleshy part of his left thigh, below the hipbone, and cut the cheek of the right buttock for three inches in length, and the depth of the ball. Captain Lewis informed me the accident happened the day before, by one of the men, Peter Cruzat, mistaking him in the thick bushes to be an elk. Set out at sunrise and proceeded on. When we were opposite the Minnetarees' grand village, we saw a number of the natives viewing us. Soon after we came to at a crowd of the natives on the bank opposite the village of the Shoe Indians, or Mahas, at which place I saw the principal chief of the little village of the Minnetarees and the principal chief of the Mahas. I proceeded on to the Black Cats' [Mandan] village, where I intended to encamp, but the sand blew in such a manner that we determined not to continue on that site. I walked up to the Black Cats' village. I had, as soon as I landed, dispatched Charbonneau to the Minnetarees, inviting the chiefs to visit us, and Drouilliard down to the lower village of the Mandans to ask Mr. Jussome to come and interpret for us. After assembling the chiefs and smoking one pipe, I informed them that I still spoke the same words which we had spoken to them when we first arrived in their country. We then invited them to visit their Great Father, the President of the U. States, and to hear his own counsels and receive his gifts from his own hands, as also to see the population of a government which can, at their pleasure, protect and secure you from all your enemies and chastise all those who will shut their ears to his counsels. They were all afraid of the Sioux. They would not go down. We sent for Mr. Jussome and told him to use his influence to prevail on one of the chiefs to accompany us. He informed us soon after that the Big White [Sheheke] would go if we would take his wife and son and Jussome's wife and two children, which we were obliged to agree to do. We were visited by all the principal chiefs of the Minnetarees, to take their leave of us. At 2 o'clock we left our encampment. We also took our leave of Toussaint Charbonneau, his Snake Indian wife, and their child. We dropped down to the Big White's Mandan village, half a mile below on the south side. I walked to the lodge of the chief, whom I found surrounded by his friends. He sent his baggage with his wife and son, with the interpreter Jussome and his wife and two children to the canoes provided for them. He informed me that he was ready, and we were accompanied to the canoes by all the village. We saluted them with a gun and set out and set out. I ascended to the high country, and from an eminence I had a view of the plains for a great distance. From this eminence I had a view of a greater number of buffalo than I had ever seen before at one time. I must have seen near 20,000 of those animals feeding on this plain. I have observed that in the country between the nations which are at war with each other, the greatest numbers of wild animals are to be found. I saw several men on horseback which with the help of a spyglass I found to be Indians on the high hill to the N.E. We landed on the S.W. side, and I sent out two men to a village of barking squirrels to kill some of those animals. Immediately after landing, about 20 Indians were discovered on an eminence a little above us on the opposite side. One of those men I took to be a Frenchman from his having a blanket Capote and a handkerchief around his head. Immediately after, 80 or 90 Indian men-all armed with fusees and bows and arrows-came out of a wood on the opposite bank, about a quarter of a mile below us. They fired off their guns as a salute. We returned the salute with two rounds. We were at a loss to determine of what nation those Indians were. From their hostile appearance, we were apprehensive they were Tetons, but from the country through which they roved we were willing to believe them either the Yanktons, Poncas, or Mahas, either of which nations are well disposed toward the white people. I determined to find out who they were without running any risk of the party and Indians, and therefore took three Frenchmen who could speak the Maha, Pawnee, and some Sioux, and in a small canoe I went over to a sand bar which extended sufficiently near the opposite shore to converse. Immediately after I set out, three young men set out from the opposite side and swam next me on the sand bar. I directed the men to speak to them in the Pawnee and Maha languages first, neither of which they could understand. I then directed the man who could speak a few words of Sioux to inquire what nation or tribe they belong to. They informed me that they were Tetons and their chief was the Black Buffalo. This chief I knew very well to be the one we had seen with his band at Teton river, which band had attempted to detain us in the fall of 1804 as we ascended this river, and with whom we were near coming to blows. I told those Indians that they had been deaf to our counsels, and ill-treated us as we ascended this river two years past, that they had abused all the whites who had visited them since. I believed them to be bad people and should not suffer them to cross to the side on which the party lay, and directed them to return with their band to their camp; that if any of them came near our camp we should kill them certainly. I left them on the bar and returned to the party and examined the arms, &c. Those Indians, seeing some corn in the canoe, requested some of it, which I refused, being determined to have nothing to do with those people. Several others swam across, one of which understood Pawnee, and as our Pawnee interpreter was a very good one, we had it in our power to inform what we wished. I told this man to inform his nation that we had not forgotten their treatment to us as we passed up this river, &c., that they had treated all the white people who had visited them very badly - robbed them of their goods, and had wounded one man whom I had seen. We viewed them as bad people and no more traders would be suffered to come to them, and whenever the white people wished to visit the nations above, they would come sufficiently strong to whip any villainous party who dared to oppose them, and words to the same purpose. I also told them that I was informed that a part of all their bands were going to war against the Mandans, &c., and that they would be well whipped, as the Mandans and Minnetarees, &c., had a plenty of guns, powder and ball, and we had given them a cannon to defend themselves. And directed them to return from the sand bar and inform their chiefs what we had said to them, and to keep away from the river or we should kill every one of them, &c., &c. Those fellows requested to be allowed to come across and make comrades which we positively refused, and I directed them to return immediately, which they did; and after they had informed the chiefs, &c., as I suppose, what we had said to them, they all set out on their return to their camps back of a high hill. Seven of them halted on the top of the hill and blackguarded us, told us to come across and they would kill us all, &c., of which we took no notice. We all this time were extremely anxious for the arrival of the two Fieldses and Shannon, whom we had left behind, and were somewhat concerned as to their safety. To our great joy, those men hove in sight at 6 P.M.
About two miles below the Quicurre, 9 Indians ran down the bank and beckoned us to land. They appeared to be a war party, and I took them to be Tetons and paid no kind of attention to them further than an inquiry to what tribe they belonged. They did not give me any answer. I presume they did not understand the man who spoke to them, as he spoke but little of their language. As one canoe was yet behind, we landed in an open, commanding situation, out of sight of the Indians, determined to delay until they came up. About 15 minutes after we had landed, several guns were fired by the Indians, which we expected was at the three men behind. I called out 15 men and ran up with a full determination to cover them if possible, let the number of Indians be what they might. Captain Lewis hobbled up on the bank and formed the remainder of the party in a situation well calculated to defend themselves and the canoes, &c. When I had proceeded to the point about 250 yards, I discovered the canoe about 1 mile above, and the Indians where we had left them. I then walked on the sand beach and the Indians came	down to meet me. I gave them my hand and inquired of them what they were shooting at. They informed me that they were shooting off their guns at an old keg which we had thrown out of one of the canoes and was floating down. Those Indians informed me they were Yanktons. One of the men with me knew one of the Indians to be the brother of young Dorion's wife. Finding those Indians to be Yanktons, I invited them down to the boats to smoke. When we arrived at the canoes, they all eagerly saluted the Mandan chief, and we all sat and smoked several pipes. I told them that we took them to be a party of Tetons, and the firing, I expected, was at the three men in the rear canoe, and I had gone up with a full intention to kill them all if they had been Tetons and fired on the canoe as we first expected, but, finding them Yanktons and good men, we were glad to see them and take them by the hand as faithful children who had opened their ears to our counsels. One of them spoke and said that their nation had opened their ears and done as we had directed them ever since we gave the medal to their great chief, and should continue to do as we had told them. We inquired if any of their chiefs had gone down with Mr. Dorion. They answered that their great chief and many of their brave men had gone down, that the white people had built a house near the Maha village where they traded. We tied a piece of ribbon to each man's hair and gave them some corn, of which they appeared much pleased. The Mandan chief gave a pair of elegant leggings to the principal man of the Indian party, which is an Indian fashion (to make presents). The canoe and three men having joined us, we took our leave of this party telling them to return to their band and listen to our counsels which we had before given to them. Their band of 80 lodges were on Plum Creek, a few miles to the north. Those nine men had five fusees and 4 bows and quivers of arrows. At half past 4 P.M. we spied two boats and several men. Our party plied their oars, and we soon landed on the side of the boats. The men of these boats saluted us with their small arms. I landed and was met by a Mr. James Aird from Mackinaw by way of Prairie du Chien and St. Louis. This gentleman is of the house of Dickson and Co., of Prairie du Chien, who has a license to trade for one year with the Sioux. He has two bateaux loaded with merchandise for that purpose. This gentleman received both Captain Lewis and myself with every mark of friendship. He was himself at the time with a chill of the ague on him which he has had for several days. 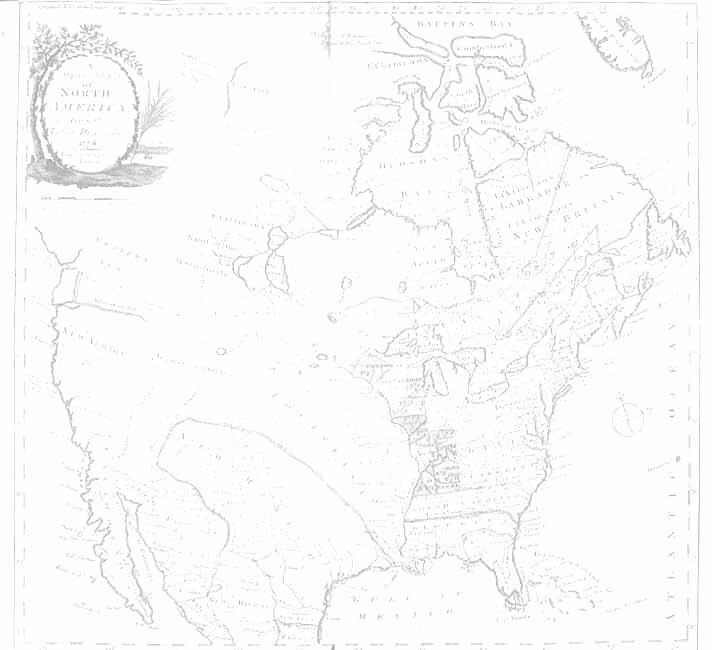 Our first inquiry was after the President of our country, and then our friends, and the state of politics of our country, &c., and the state of Indian affairs, to all of which inquiries Mr. Aird gave us as satisfactory information as he had it in his power to have collected in the Illinois, which was not a great deal. Soon after we landed, a violent storm of thunder, lightning, and rain from the N.W., which was violent, with hard claps of thunder and sharp lightning which continued until 10 P.M., after which the wind blew hard. I sat up late and partook of the tent of Mr. Aird, which was dry. Mr. Aird unfortunately had his boat sunk on the 25th of July last, by a violent storm of wind and hail, by which accident he lost the most of his useful articles, as he informed us. This gentleman informed us of many changes and misfortunes which had taken place in the Illinois, amongst others the loss of Mr. Cady Chouteau's house and furniture by fire. For this misfortune of our friend Chouteau, I feel myself very much concerned, &c. He also informed us that General Wilkinson was the governor of the Louisiana and at St. Louis. Three hundred of the American troops had been cantoned on the Missouri a few miles above its mouth. Some disturbance with the Spaniards in the Natchitoches country is the cause of their being called down to that country. The Spaniards had taken one of the U. States' frigates in the Mediterranean. Two British ships of the line had fired on an American ship in the port of New York and killed the captain's brother. Two Indians had been hanged in St. Louis for murder, and several others in jail. And that Mr. Burr and General Hamilton fought a duel, the latter was killed, &c., &c. I am happy to find that my worthy friend Captain Lewis is so well as to walk about with ease to himself, &c., and we made 60 miles today. The river much crowded with sand bars, which are very differently situated from what they were when we went up. The mosquitoes became troublesome early this morning. I rose at the usual hour, found all the party as wet as rain could make them. As we were in want of some tobacco, I proposed to Mr. Aird to furnish us with 4 carrots, for which we would pay the amount to any merchant of St. Louis. He very readily agreed to furnish us with tobacco, and gave to each man as much as it is necessary for them to use between this and St. Louis, an instance of generosity for which every man of the party appears to acknowledge. Mr. Aird also insisted on our accepting a barrel of flour. We gave to this gentleman what corn we could spare, amounting to about 6 bushels. This corn was well calculated for his purpose, as he was about to make his establishment and would have it in his power to hull the corn, &c. The flour was very acceptable to us. We have yet a little flour, Dart of what we carried up from the Illinois as high as Maria's River and buried it there until our return, &c.
At 8 A.M., we took our leave and set out, and proceeded on very well. At 11 A.M., passed the entrance of the Big Sioux River, which is low, and at meridian we came to at Floyd's Bluff below the entrance of Floyd's River, and ascended the hill with Captain Lewis and several men. Found the grave had been opened by the natives and left half covered. We had this grave completely filled up, and returned to the canoes. We met a trading boat of Mr. Auguste Chouteau, of St. Louis, bound to the River Jacques to trade with the Yanktons. This boat was in the care of a Mr. Henry Delaunay. He had exposed all his loading to dry, and sent out five of his hands to hunt. They soon arrived with an elk. We purchased a gallon of whiskey of this man-promised to pay Chouteau, who would not receive any pay - and gave to each man of the party a dram, which is the first spirituous liquor which had been tasted by any of them since the 4th of July, 1805. Several of the party exchanged leather for linen shirts, and beaver for coarse hats. Those men could inform us nothing more than that all the troops had moved from the Illinois and that General Wilkinson was preparing to leave St. Louis. We advised this trader to treat the Tetons with as much contempt as possible and stated to him where he would be benefited by such treatment, &c., &c. and at 1 P.M. set out. Those men gave us two shots from a swivel they had on the bow of their boat, which we returned in our turn. Proceeded on about 3 miles and came up with two of the hunters. They had not killed anything. At 5 miles we overtook the canoe of the other hunters, with Shannon in it, floating down-the two Fieldses being in the woods behind. We met a Mr. Alexander La Fass and three Frenchmen from St. Louis in a small pirogue, on his way to the River Platte to trade with the Pawnee Loup, or Wolf Indians. This man was extremely friendly to us; he offered us anything he had. We accepted of a bottle of whiskey only, which we gave to our party. Mr. La Fass informed us that General Wilkinson and all the troops had descended the Mississippi, and Mr. Pike and young Mr. Wilkinson had set out on an expedi tion up the Arkansas River, or in that direction. After a delay of half an hour, we proceeded on about 3 miles and met a large pirogue and 7 men from St. Louis bound to the Mahas for the purpose of trade. This pirogue was in charge of a Mr. LaCroix. We made some few inquiries of this man and again proceeded on through a very bad part of the river, crowded with snags and sawyers, and encamped on a sand bar. We set out at sunrise, the usual hour, and proceeded on very well. About 7 miles we met 2 pirogues from St. Louis One contained the property of Mr. Chouteau bound to the Pawnees, or River Platte; the other going up trapping as l high as the Mahas. Here we met one of the Frenchmen who had accompanied us as high as the Mandans. He informed us that Mr. McClellan was a few miles below. The wind blew ahead. Soon after we passed those pirogues, we saw a man on shore who informed us that he was one of Mr. McClellan's party, and that he was a short distance below. We took this man on board and proceeded on and met Mr. McClellan at the St. Michael's Prairie. We came to here. We found Mr. Jo. Gravelines, the Arikara interpreter whom we had sent down with an Arikara chief in the spring of 1805; and old Mr. Dorion, the Sioux interpreter. We examined the instructions of those interpreters and found that Gravelines was ordered to the Arikaras with a speech from the President of the U. States to that nation, and some presents which had been given the Arikara chief who had visited the U. States, and unfortunately died at the city of Washington. He was instructed to teach the Arikaras agriculture and make every inquiry after Captain Lewis, myself, and the party. Mr. Dorion was instructed to accompany Gravelines and, through his influence, pass him with his presents &c., by the Teton bands of the Sioux, and to prevail on some of the principal chiefs of those bands, not exceeding six, to visit the seat of the government next spring. He was also instructed to make every inquiry after us. We made some small additions to his instructions by extending the number of chiefs to 10 or 12-or 3 from each band, including the Yanktons, &c. Mr. McClellan received us very politely, and gave us all the news and occurrences which had taken place in the Illinois within his knowledge. The evening proving to be wet and cloudy, we concluded to continue all night. We dispatched the two canoes ahead to hunt with 5 hunters in them. Rose early. Mr. McClellan (an old acquaintance in the army) gave each man a dram, and a little after sunrise we set out, the wind hard above from the S.E. At 8 A.M., we landed at the camp of the five hunters whom we had sent ahead. They had killed nothing. The wind being too high for us to proceed in safety through the immensity of snags which were immediately below, we concluded to lay by and sent on the small canoes a short distance to hunt and kill some meat. At 11 A.M., we met a Captain McClallan, late a Captain of Artillery of the U. States Army, ascending in a large boat. This gentleman, an acquaintance of my friend Captain Lewis, was somewhat astonished to see us return and appeared rejoiced to meet us. We found him a man of information and from him we received a partial account of the political state of our country. We were making inquiries and exchanging answers, &c., until near midnight. This gentleman informed us that we had been long since given up by the people of the U.S. generally, and almost forgotten. The President of the U. States had yet hopes of us. We received some civilities of Captain McClallan. He gave us some biscuit, chocolate, sugar, and whiskey, for which our party were in want, and for which we made a return of a barrel of corn and much obliged to him. The party, being extremely anxious to get down, ply their oars very well. We saw some cows on the bank, which was a joyful sight to the party and caused a shout to be raised for i joy. At [blank in MS.] P.M., we came in sight of the little French village called Charrette. The men raised a shout and sprang upon their oars, and we soon landed opposite to the village. Our party requested to be permitted to fire off their guns, which was allowed, and they discharged three rounds with a ! hearty cheer, which was returned from five trading boats l which lay opposite the village. We landed and were very politely received by two young Scotsmen from Canada - one in the employ of Mr. Aird, a Mr. [blank in MS.], and the other, Mr. Reed. Two other boats, the property of Mr. Lacomb and Mr. [blank in MS.]. All of those boats were bound to the Osage and Otos. Those two young Scotch gentlemen furnished us with beef, flour, and some pork for our men, and gave us a very agreeable supper. As it was like to rain, we accepted of a bed in one of their tents. We purchased of a citizen two gallons of whiskey for our party, for which we were obliged to give eight dollars in cash, an imposition on the part of the citizen. Every person, both French and Americans, seemed to express great pleasure at our return, and acknowledged themselves much astonished in seeing us return. They informed us that we were supposed to have been lost long since, and were entirely given out by every person, &c.
Rose early this morning. Collected our men. Several of them had accepted of the invitation of the citizens and visited their families. At half after 7 A.M. we set out. Passed 12 canoes of Kickapoos ascending on a hunting expedition. Saw several persons, also stock of different kinds on the bank, which revived the party very much. At 3 P.M. we met two large boats ascending. At 4 P.M. we arrived in sight of St. Charles. The party, rejoiced at the sight of this hospitable village, plied their oars with great dexterity, and we soon arrived opposite the town. This day being Sunday, we observed a number of gentlemen and ladies walking on the bank. We saluted the village by three rounds from our blunderbusses and the small arms of the party, and landed near the lower part of the town. We were met by great numbers of the inhabitants. We found them excessively polite. The inhabitants of this village appear much delighted at our return, and seem to vie with each other in their politeness to us all. We came only 48 miles today. The banks of the river thinly settled, &c. Some settlements since we went up. This morning being very wet and the rain still continuing hard, and our party being all sheltered in the houses of those hospitable people, we did not think proper to proceed on until after the rain was over, and continued at the house of Mr. Proulx. I took this opportunity of writing to my friends in Kentucky, &c. At 10 A.M. it ceased raining, and we collected our party and set out, and proceeded on down to the cantonment at Coldwater Creek, about 3 miles up the Missouri on its southern banks. At this place we found Colonel Thomas Hunt and a Lieutenant Peters, and one company of artillery. We were kindly received by the gentlemen of this place. Mrs. Wilkinson, the lady of the Governor and General, we were sorry to find in delicate health. We were honored with a salute of [blank in MS.] guns and a hearty welcome. At this place there is a public store kept in which I am informed the U.S. has $60,000 worth of Indian goods. We rose early. Took the chief to the public store and furnished him with some clothes, &c. Took an early breakfast with Colonel Hunt and set out. Descended to the Mississippi and down that river to St. Louis, at which place we arrived about 12 o'clock. We suffered the party to fire off their pieces as a salute to the town. We were met by all the village and received a hearty welcome from its inhabitants. Here I found my old acquaintance, Major W. Christy, who had settled in this town in a public line as a tavernkeeper. He furnished us with storerooms for our baggage, and we accepted of the invitation of Mr. Peter Chouteau and took a room in his house. We paid a friendly visit to Mr. August Chouteau and some of our old friends this evening. As the post had departed from St. Louis, Captain Lewis wrote a note to Mr. Hays in Cahokia to detain the post in that place till 12 tomorrow, which is rather later than his usual time of leaving it. I slept but little last night. However, we rose early and commenced writing our letters. Captain Lewis wrote one to the President, and I wrote Governor Harrison and my friends in Kentucky.